MICHAEL TAFT’S blog, Notes on the Front (http://notesonthefront. typepad.com/ politicaleconomy/), and his Recession Diaries offer a radically alternative view to the conservative consensus of the economy. In one of his latest entries (Putting the ‘Workable’ Back into the Economy: The Recession Diaries – 19 November, Recession 213), he takes a critical look at Sinn Féin’s Pre-Budget Submission. 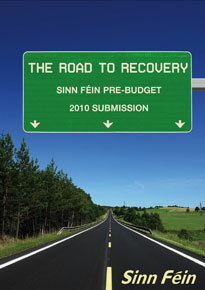 Sinn Féin has published its 2009 Pre-Budget Submission, The Road to Recovery. In short, it poses a more sophisticated approach to our economic and fiscal crisis. On the one hand, an investment stimulus to generate growth; on the other hand, a range of mostly taxation measures to start to repair the public finances. Sinn Féin proposes to use different instruments to attack the distinct parts of the deficit – the cyclical and the structural. It’s a ‘walk-and-chew-bubble-gum-at-the-same-time’ fiscal policy; not only is it workable, it has the potential to bring the economy back to some sort of ‘workable’. The establishment of a state childcare and pre-education sector, along with employing a range of specialist teaching assistants. These would be supplemented by a range of fiscal stimulus – reducing alcohol duty over the Christmas period, reintroducing the Christmas bonus, and a ‘cost of living’ package that would reduce everyday expenditure items (utilities, public transport, insurance policies, etc). There’s a lot of material here that would need to be developed. For instance, I’m not sure what modernising CE schemes would look like - especially with a National Development Scheme running alongside it. The frontline services initiative looks extremely worthwhile – so much so, why make it temporary? This has the potential of substantially increasing public sector productivity. And Sinn Féin might have benefited from examining the ICTU/Fine Gael proposals for promoting public enterprises as an engine of infrastructural investment to raise long-term productivity (next generation broadband, green technology, etc). But the broad thrust is correct: public sector expansion (especially in the areas of education), job retention, infrastructural investment. This will boost output, create jobs and start the economy back on the road to recovery which, in itself, is the most sustainable means to bringing the deficit under control. That’s the ‘walking’ part. Now for the ‘chewing gum’. 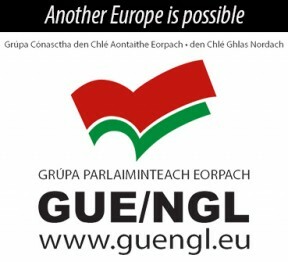 Taxation: a new third tax rate of 48% for those over €100,000, a wealth tax (or, as I like to describe: a comprehensive property tax), standard-rating tax reliefs while getting rid of property-related ones along with the private hospital co-location relief, abolish the PRSI contribution ceiling, increase the tax on ‘second homes’ along with other capital income measures, etc. Spending Cuts: apart from a couple of innovative suggestions such as establishing a state wholesale distribution of drugs and the wider use of generic drugs (on top of saving money, it could actually be a little money-spinner), this section mostly focuses on public sector pay and salary reductions, including politicians and professional fees. There’s no sense in going over each detail. We can always find something to disagree with. For instance, I wouldn’t support capping public sector pay at €100,000; this would disadvantage the public sector in the specialist labour market and, in any event, as CSO researchers have shown, higher-paid public servants suffer a wage disadvantage, especially males, compared to their private sector counterparts. And I would prioritise the effective over the marginal tax rate. But, in the main, the proposals go in a positive direction. Sinn Féin proposes to pay for their stimulus programme by: (a) taking a proportion of the revenue raised from their tax/spending measures (about €1.9 billion), and (b) dipping into the National Pension Reserve Fund (€2 billion). Nonetheless, to the extent that resources for stimulus can be obtained from low-deflation tax resources and public spending efficiencies, that is clearly an advantage. The argument for debt-financed stimulus has never rested on ‘we borrow because we can’ but rather ‘we borrow because we must’. Stimulus that is partly financed from own-resources is preferable. Because there is something more going on here than just a new calculation, a catalogue of different policies. Franklin Roosevelt once said, “There are many ways to go forward, there is only one way to stand still.” At present, the current economic debate is standing still, stuck on this contraction. There is no dialogue, no conversation – merely a hectoring, a lecturing: how we must face reality, how we must take the pain upfront, how hard decisions must be taken. Sinn Féin is pointing to a new dialogue, one consistent with going forward, where more and more people are encouraged to present all sorts of ideas to grow the economy – from business supports to social protection measures, from state spending to incentivising private investment, from increasing taxes on some to decreasing taxes on others. Indeed, a new dialogue could have an energising effect, raise confidence and act as a stimulus in and of itself. We should never overlook the psychology of economies – of the people who work in them, of the consumer, of the investor. A new dialogue could produce, in the first instance, a substantial rise in the output of ideas. If that happens, material output will follow. Now compare that to today, when every idea, every suggestion, no matter how worthwhile is met with a ‘We’re broke, can’t do it, where’s the money coming from?’ My favourite is ‘We must cut our living standards to improve our living standards.’ That would depress any economy regardless of its potential. Sinn Féin has provided not only a clear and coherent alternative to the deflationary orthodoxy but a more sophisticated fiscal platform from which to launch recovery. They have demonstrated a new way of how we can talk about our economy. All in all, not a bad day’s work.